In 2018 I really tried to switch more of my products to cleaner, better for me products. We put so many things on our skin and the more I dug into what was in some of the things I was using the more freaked out I got. So since I spent most of the year using these products I wanted to share the clean beauty products I love and use daily with you guys! My favorite clean face mask is the Tata Harper resurfacing mask. I use this once or twice a week and my skin feels incredible after. The face wash I use daily is the Origins Check and Balances frothy face wash. I have said before that out of any face wash I have used this one makes my skin feel the cleanest! I have been using the Kopari deodorant for about 5 months and I have used other clean deodorants before but this is my favorite! It smells heavenly! The best best best moisturizer is the Drunk Elephant Lala retro whipped cream. It is BEYOND moisturizing and during these super dry months my face hasn’t been dry once because of it. I have written an entire blog post on all the uses for Kopari Coconut Melt and I use it every single day! I alternate between several mascaras but the best clean one I use is the Josie Maran Argon Black Oil mascara. If you are in need of a clean mascara this is a great option. I love a good lip product and the Tata Harper natural lip treatment in be true is my favorite for clean beauty! It keeps your lips soft and moisturized. The Supergoop CC cream is a great clean beauty CC cream to try! It’s the perfect everyday option and is both moisturizing and gives you that tint you need for day to day life. This Rahua beauty shower gel while pricey is a product I will absolutely buy over and over since its something that goes all over the body. I want something that is free of all the terrible crap you DO NOT want touching you! Plus it smells divine! There are some other products I use and love that are clean beauty and I will link those below as well! 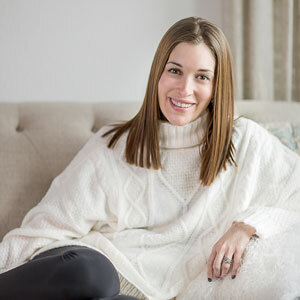 One of my favorite places to shop for clean beauty is Credo beauty! We have a store here in Dallas and there are others throughout the country but they have an amazing website full of great information! 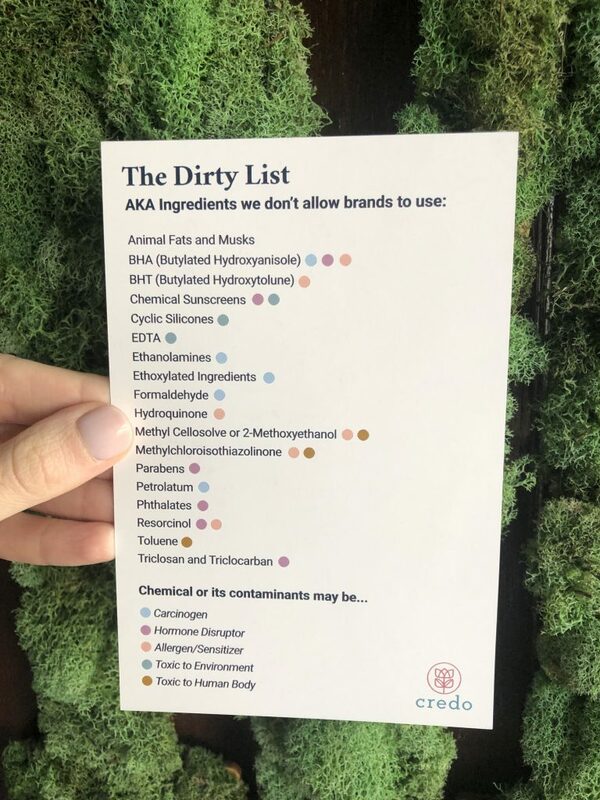 Below is their “dirty list” of ingredients they don’t allow in their products. 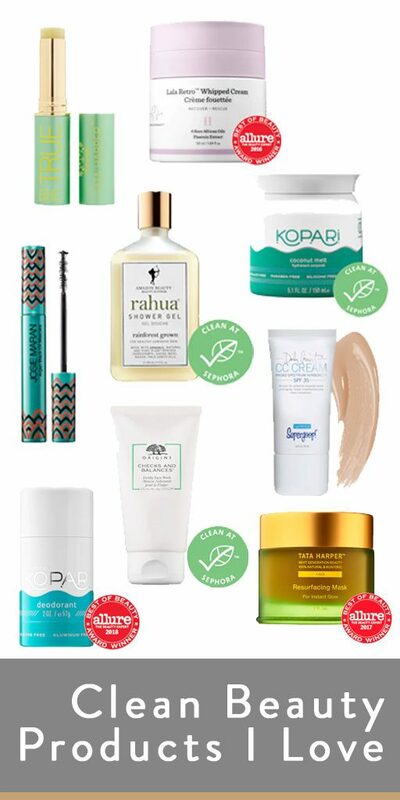 If you are interested in switching to clean beauty products they offer a program where you can take your makeup/skincare products in and they can show you options to swap them out! I would love to know some of your clean beauty products you love and use! I’ve heard so many good things about drunk elephant products- I really want to try! I switched to Youth to the People’s Adaptogen Deep Moisture Cream and I am now a clean beauty convert. It’s the best winter moisturizer I’ve ever used. I need to use more clean products in my daily routine. I have some products but most of mine are not 100% clean. I’m so glad you put this list together! I am working towards eliminating harmful chemicals and waste in my home. I haven’t even looked into much of the beauty products yet since I am starting in the kitchen. I’ll have to check all of these out soon! I have to admit, I really don’t use many “beauty products” at all. But I like that you compiled this list, as well as included the useful picture of ingredients to avoid. Thank you for the suggestions! We are exposed to so many chemicals and toxins by the things we put in and on our bodies. Anything we can do to lessen the load will have a huge impact on our health and also the planet. I feel so out of the loop. I haven’t heard of most of these brands, so I’ll definitely have to check them out. Especially the face mask!! I see that a number of your products are on the Allure list. Last year, I incorporated more organic products into my routine and also tried some very popular beauty lines. Wow! That was really amazing! It really looks great products and I hope to try them all! First, thank you for making my life easier by providing this fab list. I’m currently in the market for a new cleansing routine and can never decide what products to try out. I absolutely hate how many chemicals are in beauty products these days. Even with the knowledge of what certain chemicals can do, we are still seeing them put in everyday products. I love your list of more natural options. I will have to show these to my daughter. She would definitely be interested in the face mask. She would love to try it out. I love the Josie Maran line! I think it’s so important to know what you’re putting on and in your body. I am slowly transitioning into using all clean products. I haven’t heard of these brands before. When it comes to beauty products, I have to be careful because of my sensitive skin and eczema. Would definitely see if i can find a trial size of these to give a try. I’ve become a BeautyCounter addict – have you tried any of it yet?! I have used Kopari before. Although it didnt work for me – I know that it does for a lot of people. I have never heard of these others.